James McCusker, 78, of Jamestown, died Friday Feb. 13, 2015, surrounded by his family in his home. A Jamestown native, he was born May 19, 1936, the son of Horace and Ruth Tanner McCusker. 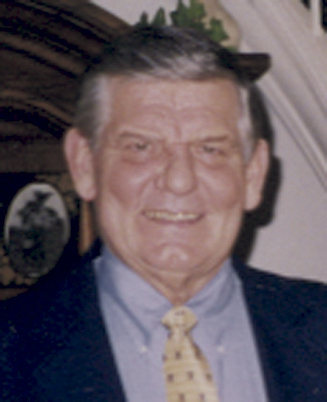 He was a 1954 graduate of Jamestown High School, where he twice received All Western New York honors and was an all-state selection his senior year. He then went on to the University of Pittsburgh on a foot-ball scholarship and was named Associated Press All-American three times and United Press International honors twice. He played in several bowl games with the Panthers and also participated in the East-West Shrine Game, the Senior Bowl and was part of a College All-Star team that defeated the NFL champion Detroit Lions. Jim is still considered one of the University of Pitt’s greatest linemen. Jim was drafted by the Chicago Bears in 1958 and later played for the Philadelphia Eagles, Cleve-land Browns and New York Jets before retiring from football in 1964. For Jim, there is no greater athletic accomplishment than helping the Philadelphia Eagles defeat the Green Bay Packers in the NFL Champion-ship game in 1960. Following retirement, he returned to his hometown and founded The Pub. His family and his restaurant were his life’s love. Surviving are his wife, the former Mary Lisciandro, whom he married April 10, 1975; a sister, Donna Mirkovich of Doylestown, Pa.; nephews, Craig (Debbie) Mirkovich of Colorado Spring, Colo. and Jeff Mirkovich of York, Pa., Brad (Bridget) Mirkovich of Parker, Colo., Sam Lisciandro of Jamestown and Kevin (Lisa) Kaiser of New Milford, Conn.; a niece, Kristen (Phil) Johnson of Findlay, Ohio, and several great nieces and nephews. The funeral will be held at 10:30 a.m. Wednesday in St. Luke’s Episcopal Church. Burial will be in Holy Sepulchre Cemetery. Friends will be received from 4-7 p.m. Tuesday in the Lind Funeral Home. Memorials may be made to Hospice Chautauqua County, 20 W. Fairmount Ave., Lakewood, NY, 14750, or Italian-American Charity Golf Association, PO Box 352, Jamestown, NY, 14702. You may light a candle in remembrance of Jim atwww.lindfuneralhome.com.